Combing through the woods in Franklin, Dana Maize is pursuing her dreams as the owner of her own floral company. She's a small business owner, making every penny and every moment count. A few years ago a divorce left Dana looking for direction, she has four kids to support which is why she started a successful cleaning company. "It doesn't sound fun but it is for someone like me who was a single mom, I didn't want to go into a job where I couldn't be flexible," she says. That job then allowed her to get here. Dana is also now the proud owner of One Wild Flower Designs. Like the plants she's picking the business is blossoming. "I think we're so good at caring about more than the job getting done. I hope that's not sexist but women tend to have that gift to bring to the table," she adds. Dana is not alone in her pursuit for something more. 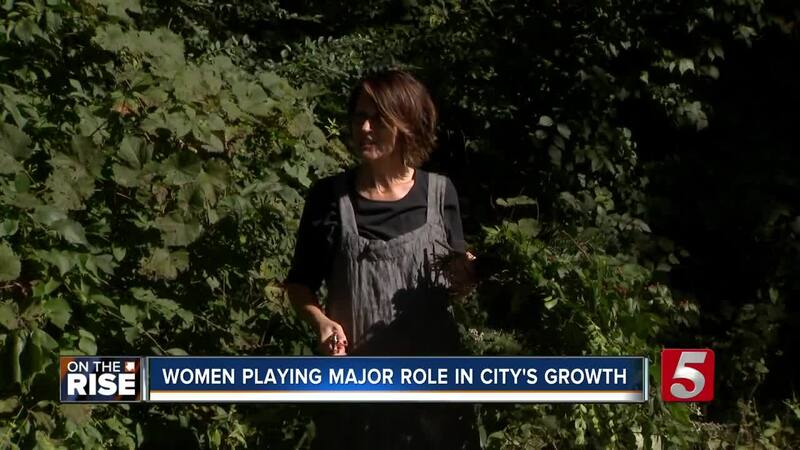 "The growth in Nashville has everything to do with women pursuing these dreams," says Amanda Lairsey who is the founder of the Society of Women Business Owners or SOWBO. The group is helping other women across Nashville find their passions and go for it. "Sobo is absolutely a support group," she adds.